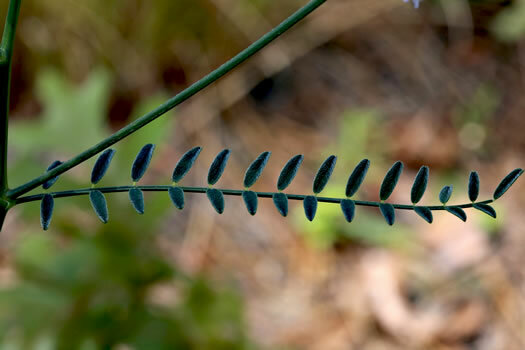 Calyx lobes deltoid to narrowly triangular-lanceolate [not subulate], per Vascular Flora of the Carolinas. 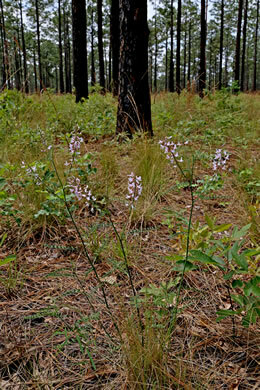 Flower clusters arise at the angles between the stem and upper 2-6 leaves, per Field Guide to the Rare Plants of Georgia. 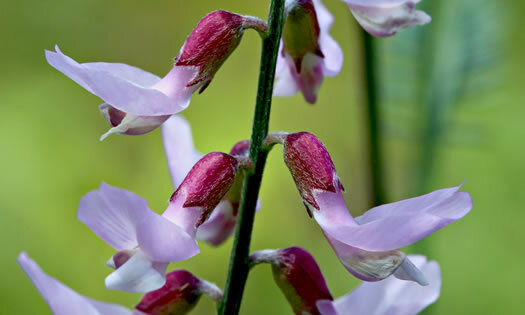 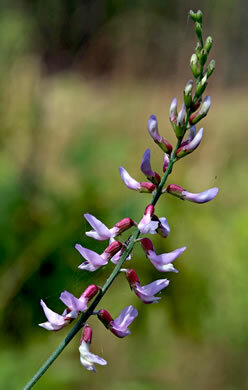 Flowers are pinkish-lavender or pinkish-white and can be sparse or numerous, per Wildflowers of the Sandhills Region. 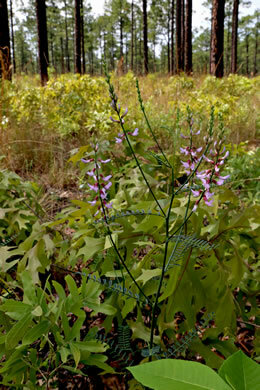 Leaves rather sparse, pinnate, with 15-30 elliptical leaflets, per Wildflowers of the Sandhills Region. 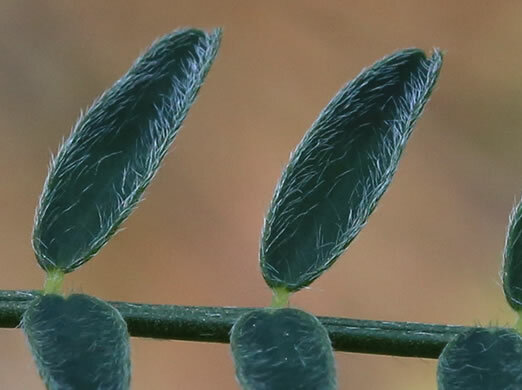 Leaflets both opposite & alternate, thick or leathery, & may be thinly hairy, per Field Guide to the Rare Plants of Georgia.